Add a soft drink for $1.29. All prices listed are before tax and subject to change without notice. Lunch: $7.87Dinner/Weekend: $9.13Must be 65 years or older. Cannot be combined with other offers. 11 AM - 1:30 PM$6.49Must be 65 years or older. Cannot be combined with other offers. 11 AM - 8 PM20% OffMust show military ID. Cannot be combined with other offers. 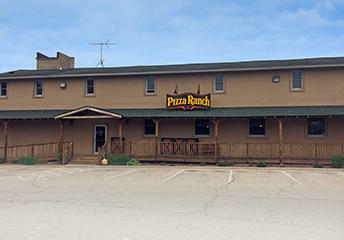 Ride on over to Pizza Ranch! 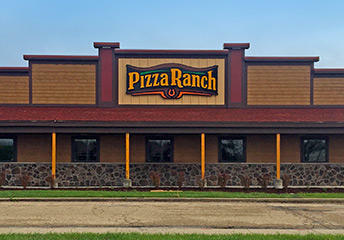 Our Oostburg location has the best pizza in town—not to mention The Country’s Best Chicken®, fresh sides, and sweet Cactus Bread®! Our American West-themed restaurant and famous buffet will satisfy the cravings of the whole family. 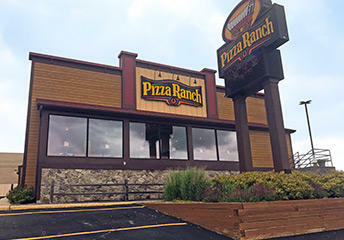 And if you’d rather stay in, we’ll bring the legendary experience to you with catering, online ordering, and delivery! Find us just minutes away from Lake Michigan and Oostburg High School. Schedule your next party, event, or family get-together in our community room that seats up to 50 guests. And check out our Community Impact nights to help local groups fundraise.